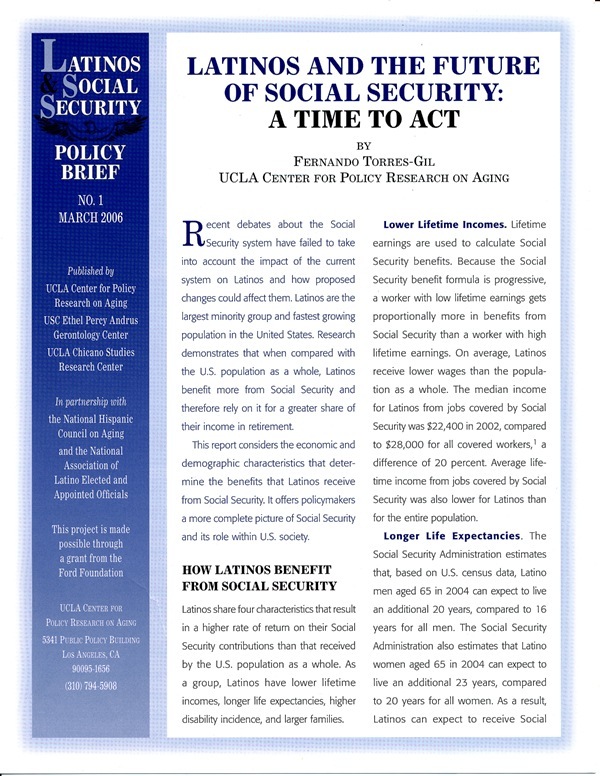 Recent debates about the Social Security system have failed to take into account the impact of the current system on Latinos and how proposed changes could affect them. Yet Latinos share four characteristics that result in a higher rate of return on their Social Security contributions than that received by the U.S. population as a whole. This report offers policymakers a more complete picture of Social Security and its role within U.S. society.